Spring into savings at the Victorian Carriage Shops! 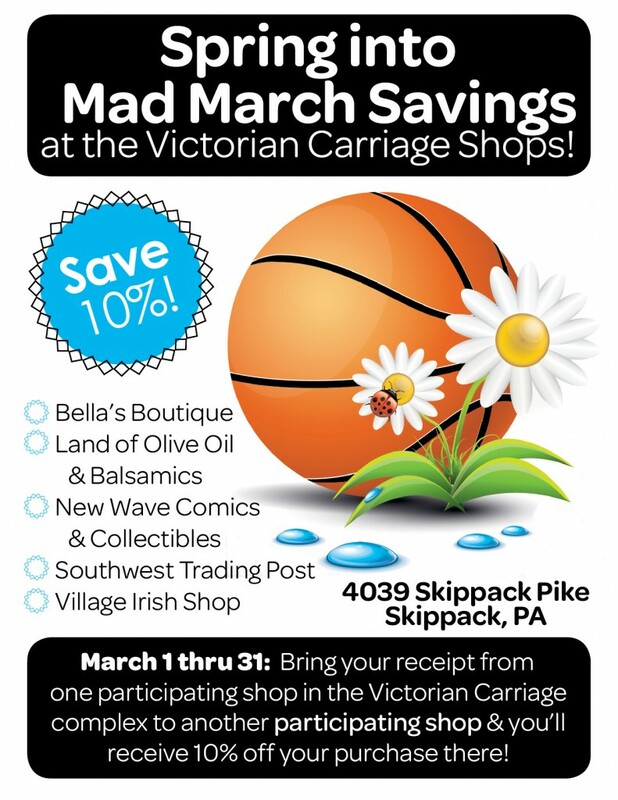 From March 1 through March 31, bring your receipt from one shop in the Victorian Carriage Shops complex to another shop and you’ll receive 10% off your purchase there. Simply make your purchase at one of the participating shops (listed below) to start saving!